You’ve got a brand new gaming console, a fantastic gaming television or monitor and a state-of-the-art sound system: you’re fully prepared for total video game immersion. Unfortunately for you, you’ve only got the basics; to truly enhance your video gaming experience and take it to the next level, you need to look beyond gaming televisions and sound systems. How about a gaming chair that features built-in vibration so that you can feel every explosion on the battlefield? What about a cold mini-fridge nearby stocked full of food and drinks so you can get back into the game quickly? If you’ve got some spare change left after buying your console and games, then we’ve got 10 products that will make your video gaming experience awesome so you can sit in your gaming den and play GTA to your heart’s content!. With each of these products coming in well under $1,000, even the most frugal of gamers will find something on this list that they will want to purchase immediately. It’s not uncommon for gamers to spend hours perched in front of their computer, especially after the release of a game in the MMORPG genre. The Kinsal Gaming Chair features an ergonomic design, a headrest cushion and even a lumbar cushion so that after hours of sitting, your body will still feel as good as new. The Kinsal Gaming Chair also features an adjustable height, letting you line it up perfectly with any computer desk. 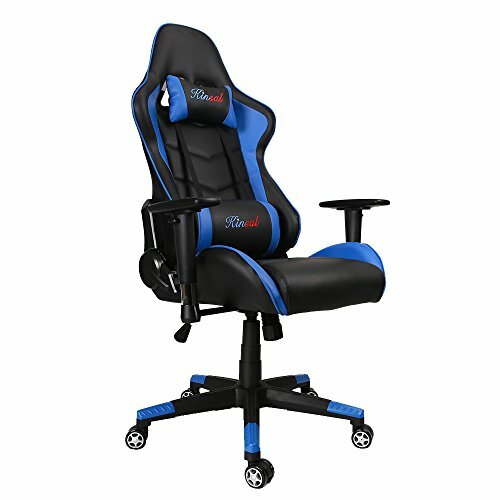 The Kinsal Gaming Chair features a striking blue and black color combination and is made with high-quality PU leather; even after years of use, this chair will still look just as good as the day you bought it. In the event you do spill some food or drink on your new gaming chair, it’s easily cleaned off with your basic household cleaning supplies. Kinsal placed a significant amount of focus on stability; the result is that this chair can hold a maximum weight of 350 pounds thanks to its tubular steel frame and metal base. If you’re the type who likes to relax a bit when you game, you’ll love the 90- to 180-degree backward movement of the chair. The smooth gliding wheels on the bottom of this chair let you easily move it from position to position, perfect for gamers who find themselves frequently rearranging their furniture. With all of these features, it’s easy to see why gamers everywhere recommend the Kinsal Gaming Chair for their PC gaming needs. 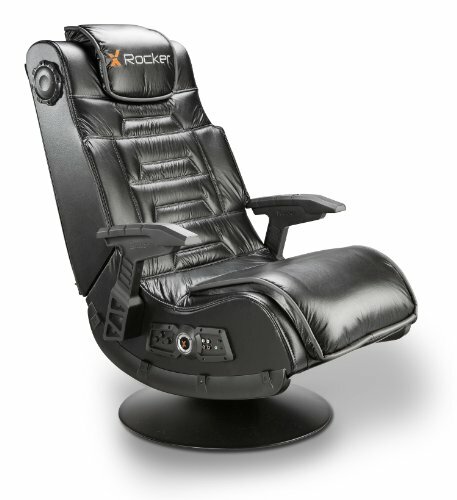 The X Rocker 51396 Pro Series Pedestal 2.1 Video Gaming Chair makes you feel like you’re a part of the action thanks to the proprietary X Rocker vibration technology built right into the chair. You’ll feel every explosion of the battlefield right down to your core thanks to the chair’s powerful rumble feature! This gaming chair also packs in two speakers along with a subwoofer, providing a degree of total immersion you can’t get with a standard surround sound system. The base of this chair lets you tilt and swivel, and the high-quality material of the chair makes you feel like you’re sitting on a cloud. As an added bonus, you can wire multiple X Rocker chairs together to create the ultimate multiplayer gaming experience! 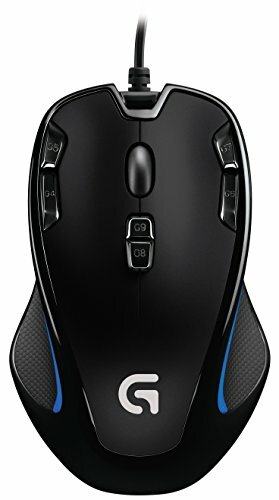 You’ll never use a regular computer mouse again after experiencing the Logitech G300s Optical Gaming Mouse. This mouse packs in over nine programmable controls, letting you move total control from your keyboard to your mouse; in a game like League of Legends where victories are measured in milliseconds, being able to click a mouse button rather than fumble with a keyboard could turn a loss into a win. You don’t need to be a coding wizard to make use of these features either, as everything is done through a simple drag-and-drop interface. The gaming-grade optical sensor found on this mouse will accurately track your movements no matter what surface you put it on, whether it’s wood, glass or even metal. The symmetrical compact shape will ensure that this mouse feels comfortable and won’t give you the dreaded hand cramps that you’ll find in mice of lesser quality. MOBA games such as League of Legends and Heroes of the Storm are some of the most popular games available on the PC, and the Razer Naga Hex V2 MOBA Gaming Mouse is your secret weapon to victory in them. The buttons found in this Razer gaming mouse are mechanical and positioned in a way that almost entirely eliminates misclicks, which is perfect for a MOBA game where every click counts. Each of the seven buttons on the Razer Naga Hex Chroma is fully programmable, letting you put your favorite skills and abilities on whichever button works best for you. The Razer Naga Hex Chrome is just as good on the outside as it is on the inside, feature an ergonomic design that your hand is sure to love. 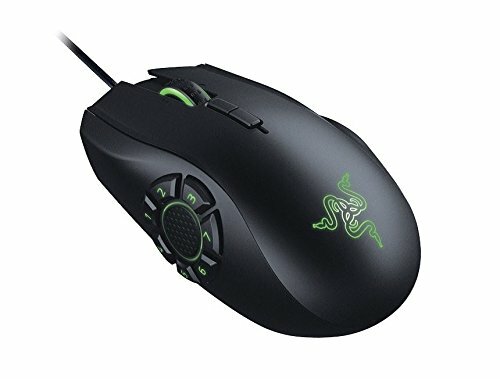 In fact, Razer states that this mouse eliminates the cramps that come from long gaming marathons, meaning you’re free to play MOBA games for hours at a time! The mouse also features a spectrum of 16.8 million colors that you can personalize, letting you pick the color scheme that represents your favorite MOBA champion. In the middle of an intense gaming marathon, taking the time to walk all the way to the kitchen and back may feel like just too much effort. Luckily for you, the Midea WHS-65LB1 Compact Single Reversible Door Refrigerator and Freezer is here to save the day, giving you access to food and drinks without even needing to leave the room.Unlike other mini-fridges, the Midea WHS-65LB1 Compact Single Reversible Door Refrigerator and Freezer only emits a low amount of noise, meaning that the sounds of your game aren’t drowned out by the sounds of your refrigerator. With both a fridge and freezer in one machine, you can store a wide selection of gaming snacks ranging from sandwiches and sodas to ice cream bars. 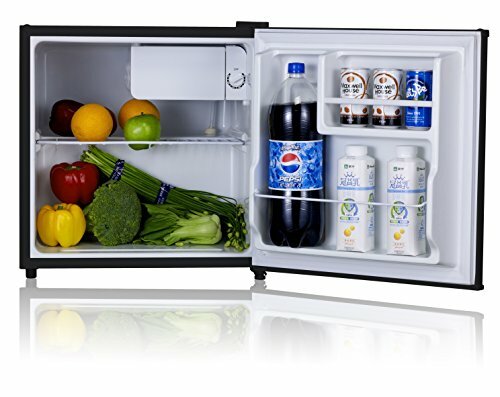 The adjustable thermostat on this fridge means you can keep food as cold as you want while the energy saving components used in this mini-fridge won’t increase your electric bill by a substantial amount. 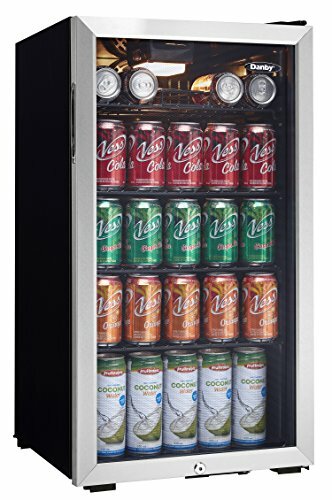 If you are looking for a mini-fridge just for beverages rather than food, then you’ll want to check out the Danby 120 Can Beverage Center. 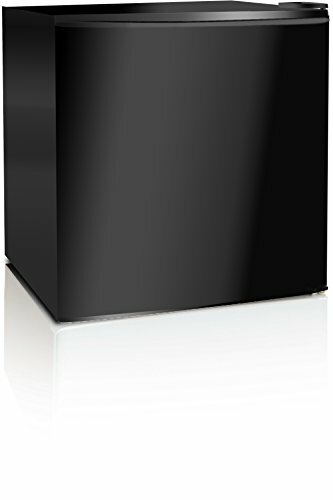 This beverage center has a 3.3 cubic feet capacity, meaning you’ll have no problem storing even oddly shaped beverages like the tall cans typically used in energy drinks. The recessed door handle is easy to grab and even includes a lock if you want to make sure that your roommates don’t steal all of your soda. The interior light in the Danby 120 Can Beverage Center means that even in the middle of the night, you’ll be able to grab just the drink you’re thirsting for. The tempered glass door and stainless steel body mean that this beverage center is built to last and can withstand a controller or two thrown its way. 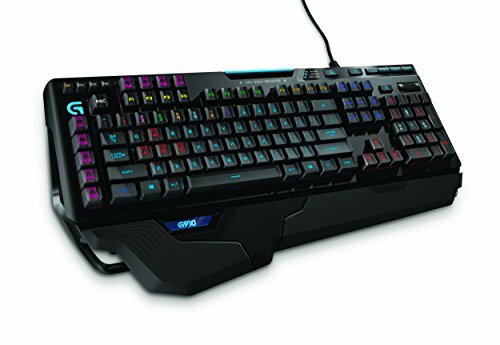 Logitech bills the Logitech RGB G910 Orion Spark Mechanical Gaming Keyboard as the world’s fastest RGB mechanical gaming keyboard, boasting that this keyboard’s mechanical switches feature a 25-percent faster actuation time than the competition. Regarding gaming, that means that your button presses are going to register quicker than your opponent’s button presses, giving you the tactical edge that you need. When you need to access in-game data on the fly, the Arx Control App that ships with this keyboard lets you access in-game information directly from your smartphone or tablet. With nine programmable keys, you can bind even complicated macros to a single button press. The dedicated media controls let you change the volume or mute the sound without even needing to look away from the screen. If personalization is important, the Logitech RGB G910 Orion Spark Mechanical Gaming Keyboard lets you set the light of individual keys from a selection of over 16 million colors. 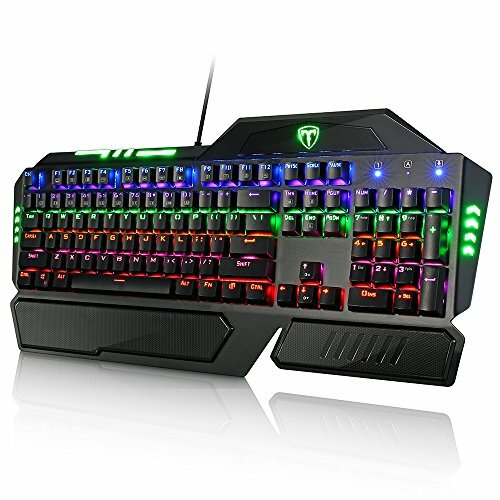 Day or night, the Pictek Gaming Keyboard offers an easily visible interface thanks to a bright ambient light underneath every key; gamers who enjoy customizing their tech will love the fact that each light is available in six different color choices. The Pictek Gaming Keyboard keeps you in the game at a faster pace than you thought possible as its keys benefit from anti-ghosting technology. This technology allows any combination of keys to be pressed at once and for the keyboard to recognize each keystroke; in other words, you’ll be able to unleash a combo quickly without having to wait for your previous action to complete. The ergonomic design on the Pictek Anti-Ghosting Mechanical Gaming Keyboard also makes the keyboard easy on the wrists by adding proprietary pads that significantly reduce fatigue during longer gaming sessions. Finally, clean-up is a cinch as the keyboard is naturally resistant to water and Pictek includes a complimentary individual key removal tool with every purchase. Have you ever felt an intense strain in your eyes after an intense all-night gaming marathon? That’s because the artificial blue light that televisions and monitors output aren’t ideal to stare at for hours on end. The DUCO Optiks GX090 Matte Black Computer Glasses eliminate that eyestrain by tinting the lenses with amber, which cancels out the harmful rays emitted by televisions and monitors. The anti-glare coating and lens material used in these gaming glasses also provides sharper images that other gaming glasses, letting you see even distant objects in the background. 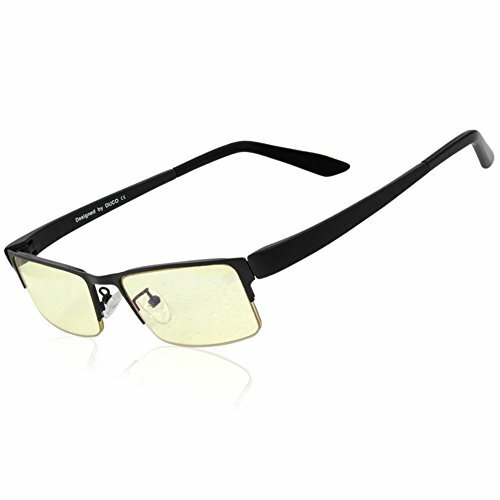 As an added bonus, these glasses also eliminate common gaming side effects including dry eyes and irritation. 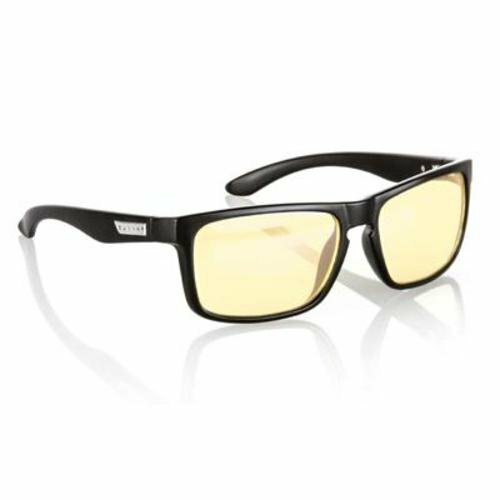 These gaming glasses are light, meaning that after just a few minutes of use you may even forget you have them on! However, just because they are light doesn’t mean they are fragile; these gaming glasses use a polymer-based material to ensure they are durable. The design of these gaming glasses also ensures that they won’t get in the way of your gaming headset. Anyone who’s spent the day gaming online or powering through a well-written story knows about the distracting migraines that can debilitate a gamer for the rest of the night—-that is unless you have the power of the Gunnar Optiks Intercept Gaming Glasses by your side. Computer screens emit a blue light that can result in eye strain, migraines and even insomnia in many people, especially after staring at these screens for hours at a time. The amber lenses on the Gunnar Optiks Intercept Gaming Glasses softens the strain by warming the color of your vision, allowing your eyes to relax and focus on the game instead of holding your head in pain. These gaming glasses don’t adversely affect your gaming experience either; the colors of your game will still come through as vibrant as ever when you’re wearing these glasses. The lenses on the Gunnar Optiks glasses are also resistant to scratching and are highly durable, meaning they won’t break down when you need them the most. Best of all, the Gunnar Optiks gaming glasses only weigh 35 grams, meaning they won’t cause headaches from the weight pressing against your nose. In addition to canceling out the stressful blue light from your monitor, the Gunnar Optiks INT-00101 Intercept Full Rim Advanced Video Gaming Glasses also reduces glare from the morning sun beating down on the screen. That X rocker chair looks amazing!